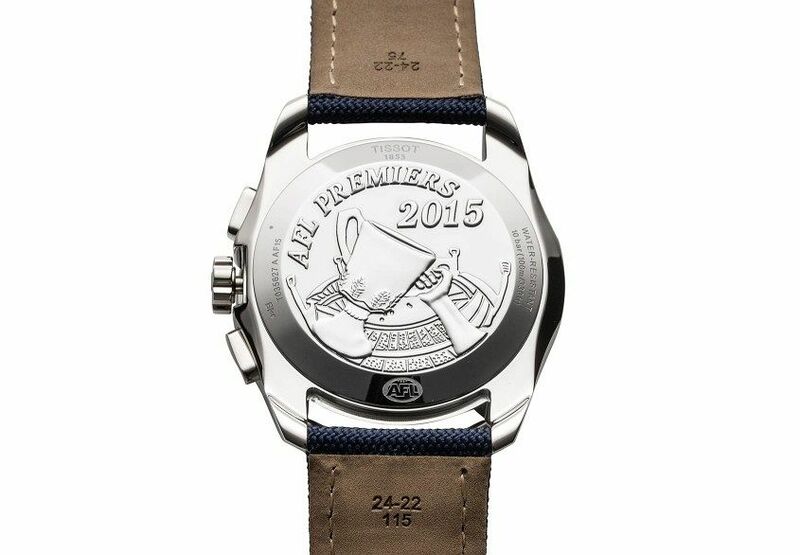 The NBA has the Championship ring, the NFL has the Super Bowl ring and now the AFL has the ‘Premiership Watch’, which is limited to just 23 pieces, and awarded to the victors of the AFL Grand Final and their coach. 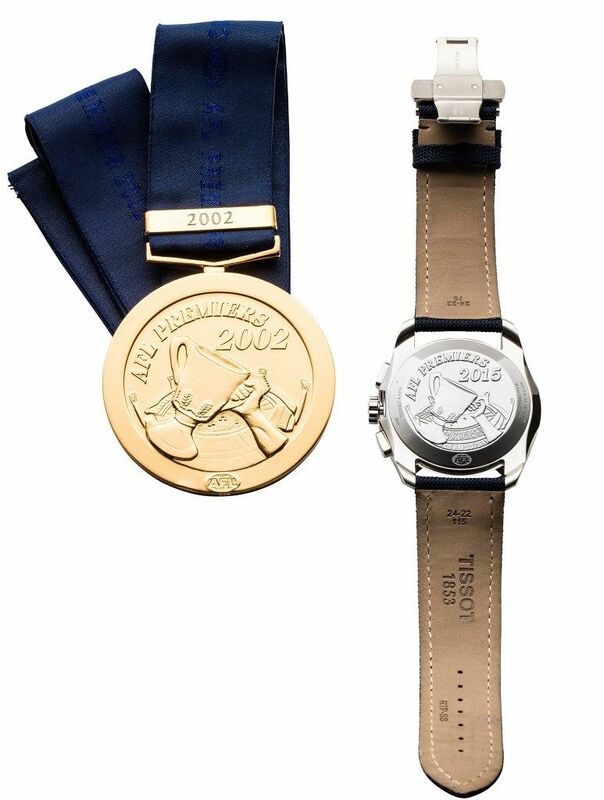 The solid caseback of the Tissot Premiership watch is engraved with the same image as the actual Premiership Medallion. 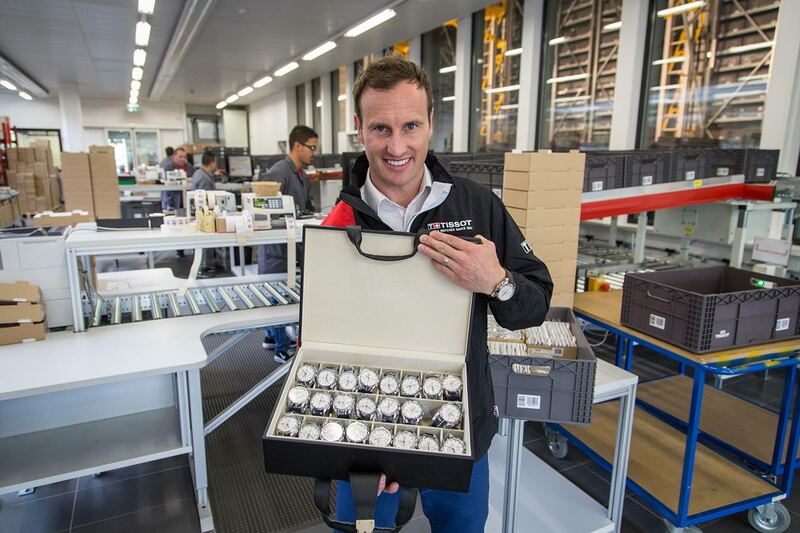 You can imagine the rollercoaster ride Tissot HQ must have gone on when Scott Jungwirth, General Manager of Tissot Australia proposed a limited edition AFL watch to Tissot HQ, one of the highest volume Swiss watch brands. 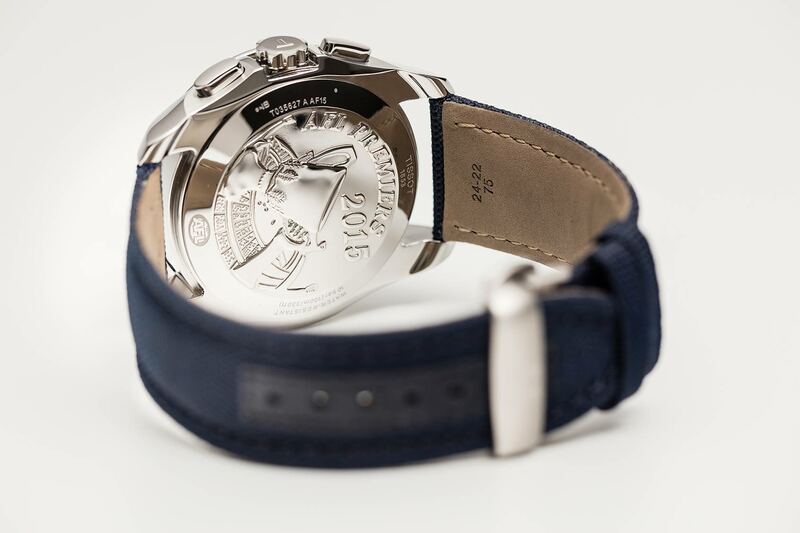 First, great excitement at the kudos the brand will receive for being chosen to supply the first ever official watch for the Australian Football League, the most popular sporting code in Australia. An honour indeed. Then, confusion when Scott explained that he wanted to make just 23 watches. Maybe the Tissot execs, not overly familiar with our national game, thought Jungwirth was proposing 23 versions – perhaps one for each team? 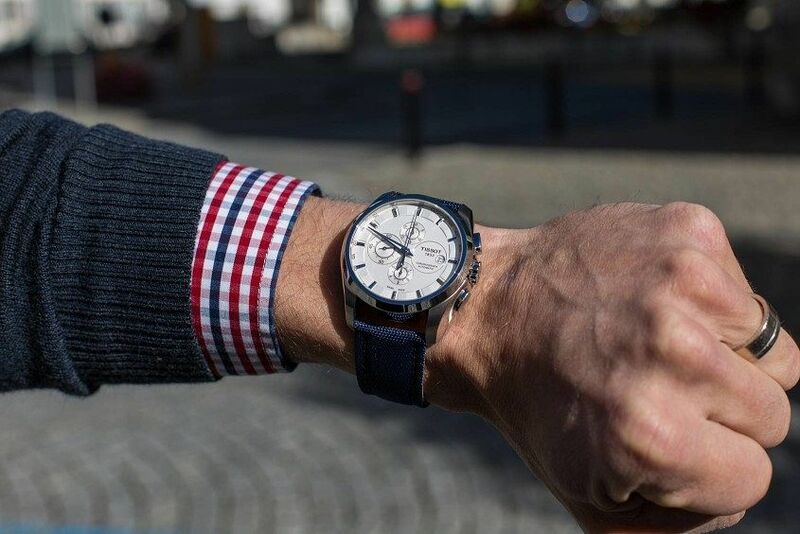 Confusion would have surely turned to incredulity when it became clear that Australia, not a large market compared to Europe, Asia or America wanted to invest the time and money required to make a new product and only produce 23 actual watches. And that none of these watches would be sold. Instead they’ll be given to the winning team of the 2015 AFL Premiership, players from either the West Coast Eagles or the Hawthorn Hawks. HOW IS THE WATCH DIFFERENT? 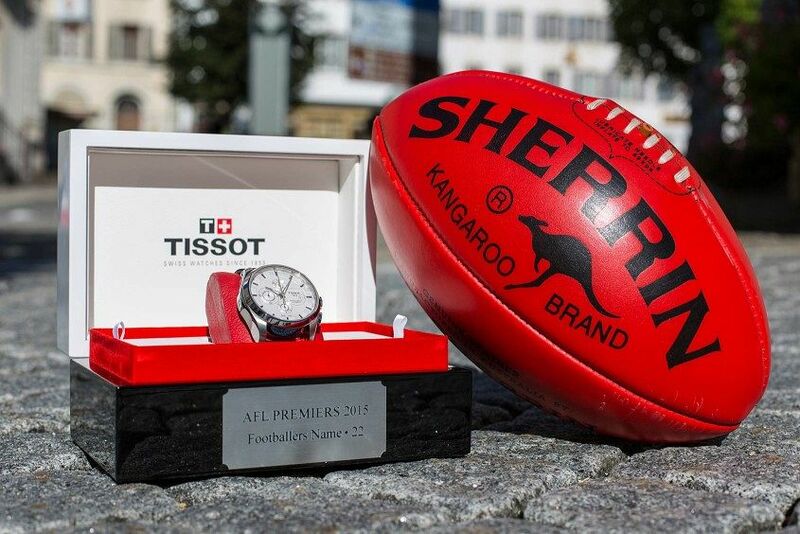 The exclusivity alone makes the Premiership Tissot an important watch, but the effort that Tissot have gone to to make this a meaningful tribute to AFL is impressive, and makes it a worthy tribute to the players and the game. 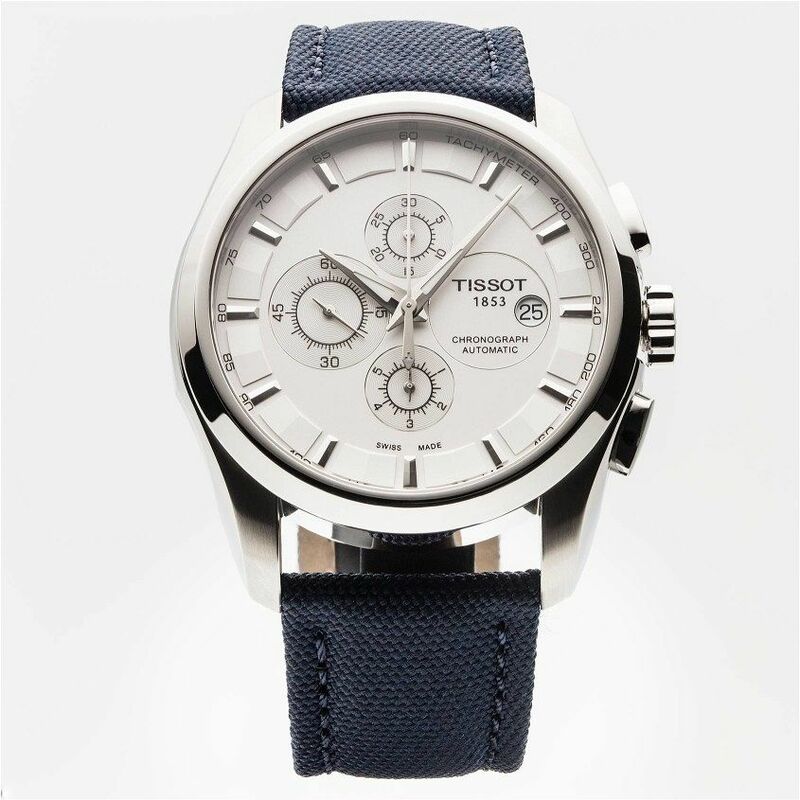 At first glance the Premiership watch looks like a standard Tissot Couturier – a solid automatic chronograph with a casual dressy aesthetic, with nice design features like the slightly scalloped case side and the raised outer chapter ring. However it seemingly lacks anything to mark out the AFL association. No special dial text, no logo printed in a chronograph subdial. Nothing out of the standard limited edition playbook. The only hint that this is a special edition is the blue fabric strap, which perfectly matches the lanyard of a Premiership medal. And if you turn the watch over you’ll find the medallion itself, or rather a solid caseback moulded in its likeness. From the front, a Tissot Couturier, but with a strap that is the same colour as a Premiership Medallion lanyard. THE OBSTACLE – HOW TO REPRESENT THE MEDALLION? The Premiership medallion is the most desired sporting award in the country; it symbolises winning a grand final, which is something of a holy grail for AFL players. 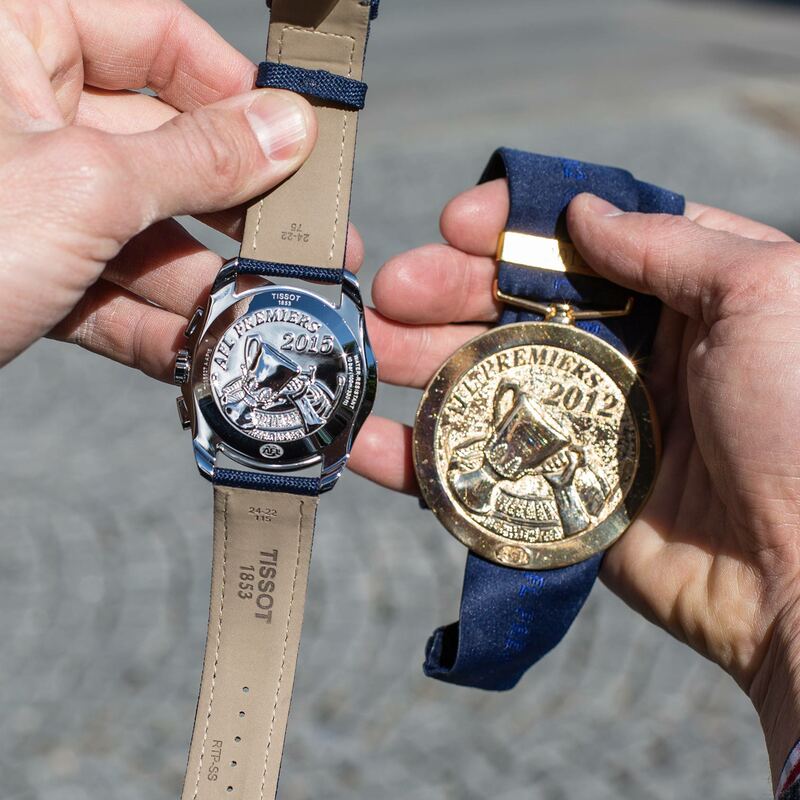 Tissot went to great lengths to get their caseback representation right, sending an actual medallion (from 2012) to Tissot’s Le Locle facilities for their watchmakers to study and replicate. This is one of the only times in Tissot’s 150-year history that such lengths have been gone to for so few watches. But the gamble paid off. Last week we had the chance to inspect one of the premiership watches, days after they were hand couriered from Switzerland by two-time Premiership player and Sydney Swan Jude Bolton. The watch already has the heavy feel of a quality object. Add to that the deep and detailed relief illustrating the cup being held aloft at the MCG, and you know you’re holding something special. In the course of our work we’ve had the privilege of making ‘in the metal’ contact with special releases and limited editions dedicated to numerous sporting teams and codes. Some mediocre and some good, but none of them have had the ‘no money on earth can buy one of these watches’ exclusivity and the gravitas that the Tissot Premiership watch carries off. 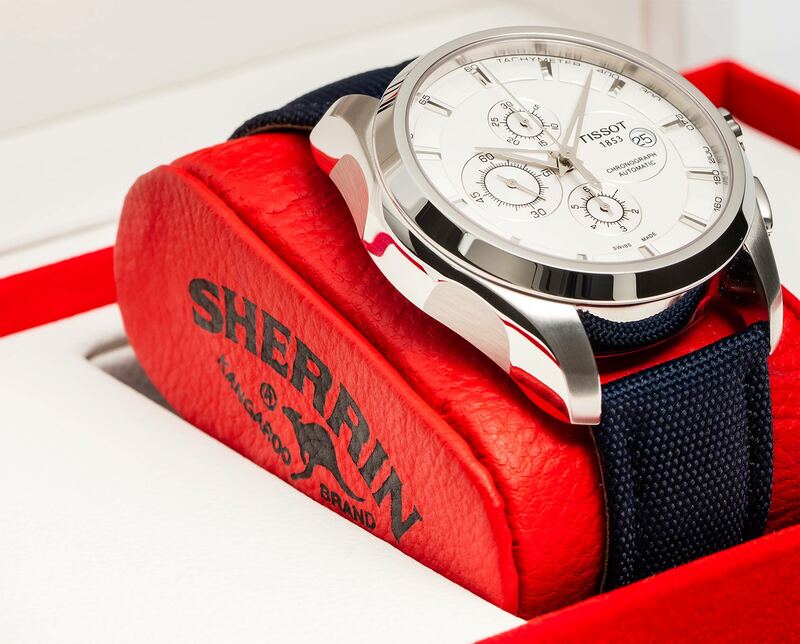 Even before the final siren this Saturday afternoon, which will vest enormous significance in the watch for one club, you can feel the weight of history this watch will carry with it for its wearer. The caseback of the Tissot Premiership watch. Solid! The Sherrin cushion and case lining is another nice touch. There it is! This is going to mean an AWFUL lot to 23 players in a week from now…. A Couturier by any other name (than the Premiership watch) will still look as sweet. An actual Premiership medallion was sent over to Switzerland to ensure the details were perfect. While it would be naïve to say that Tissot aren’t going to get benefit out of this watch – that’s clearly not the only motivation at play here. 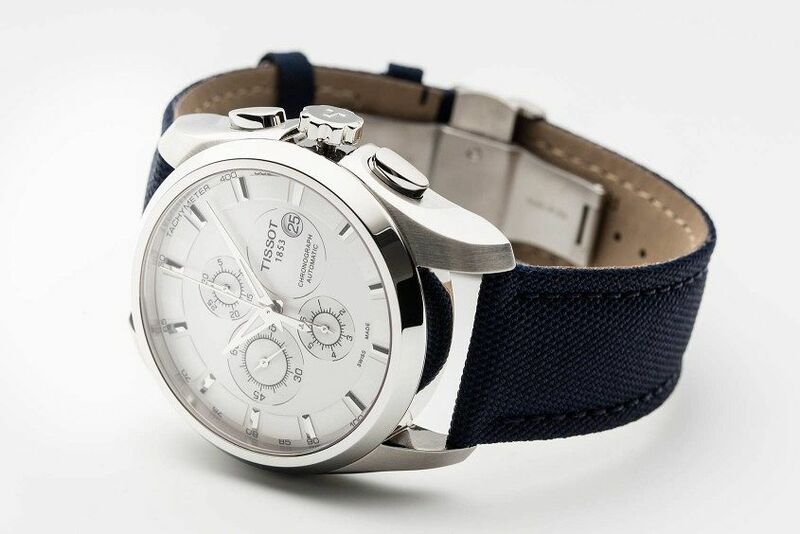 The fact that they’ve avoided upscaling it into a commercial release and that they’ve gone above and beyond to create a watch that represents Australian football (down to the Sherrin-lined watch box) show that by making this watch Tissot have first and foremost created a watch for the 2015 Premiership team to celebrate their win and remind them of it every time they glance at their wrist. Wear them with pride boys. “Engrave name here” – This will get the heart rates of Hawks and Eagles players right up. 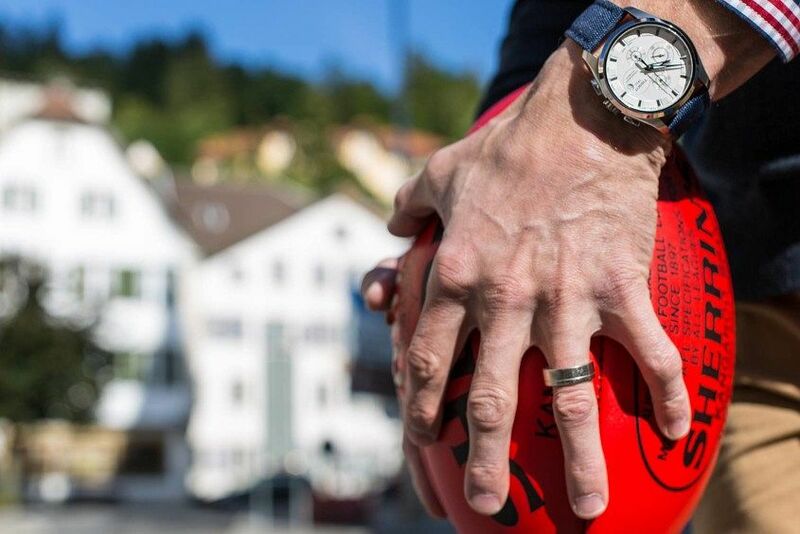 The Tissot Premiership watch, live on the wrist of Sydney Swans legend Jude Bolton. The first Premiership watch ever before the first drop punt ever kicked in Le Locle, Switzerland? Jude Bolton sporting the Tissot Premiership watch. The Tissot Premiership watch is limited to 23 pieces and is only available to people who are really, really good at footy.